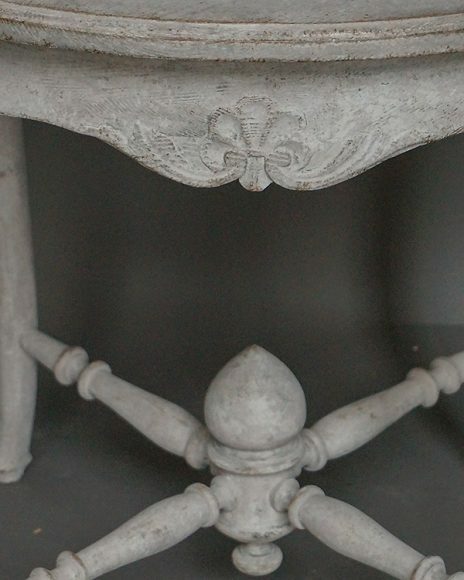 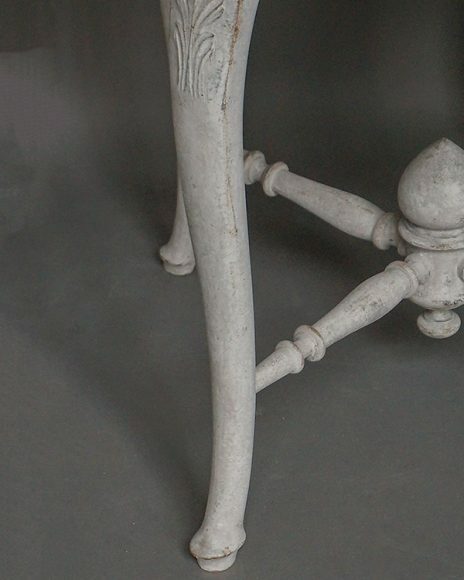 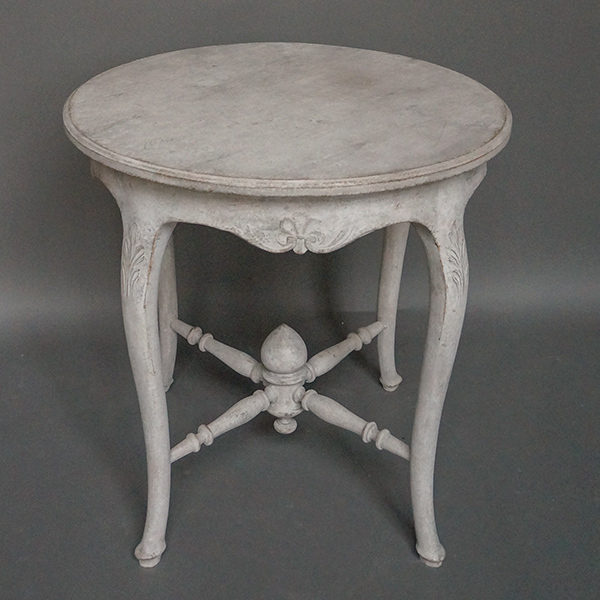 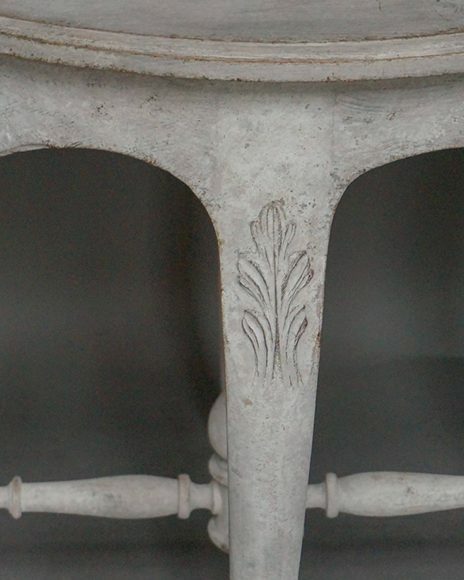 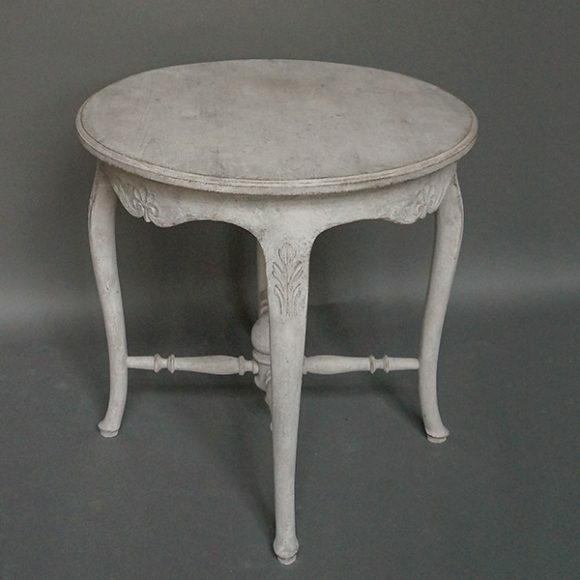 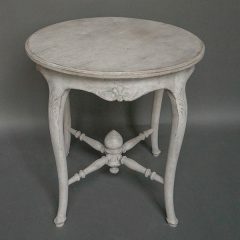 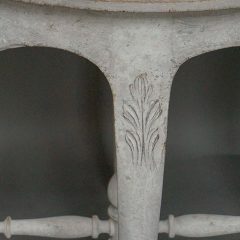 Carved side table in the Gustavian style, Sweden circa 1890. 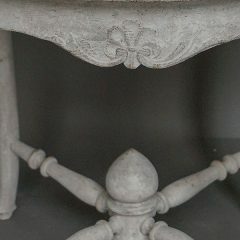 The sinuous apron has stylized fleurs-de-lys between the four gently curving cabriole legs. 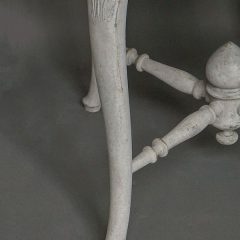 Stylized foliate detail is carved onto the legs which terminate in modified pad feet. 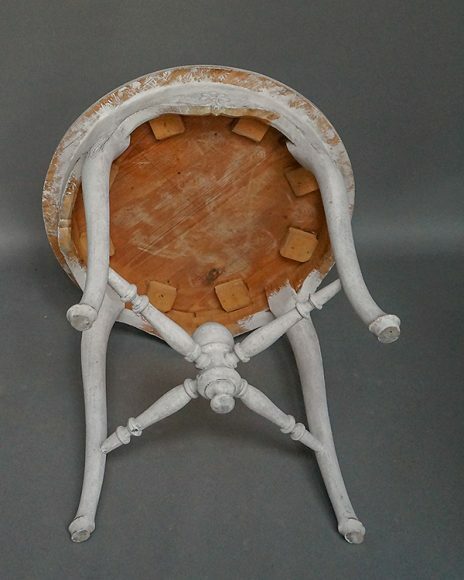 A turned finial joins the four turned stretchers. 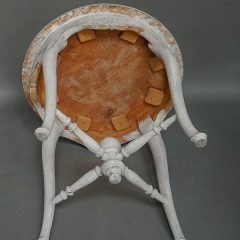 In all, a graceful and useful piece.